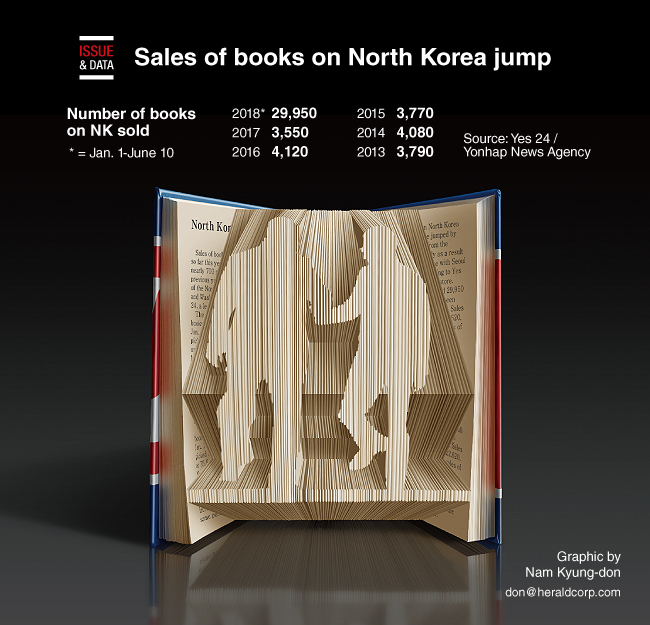 Sales of books on North Korea so far this year have jumped by nearly 700 percent from the previous year, possibly as a result of the North’s dialogue with Seoul and Washington, according to Yes 24, a leading online bookstore. The company said it sold 29,950 books on North Korea between Jan. 1 and June 10 this year. Sales picked up in May, totaling 22,620, or 75.5 percent of overall sales of North Korea-related books this year. The number of books on the subject published this year increased to 46 from 30 in the same period last year.